The Atlantic Cities recently reported that people like movable chairs. More specifically, Nate Berg cited a 1980 study by William Whyte pointing out that if given the chance people will move public seating before actually sitting down. Berg also writes that movable chairs are common in New York. Movable chairs near Union Square in New York. Research has shown that people like being able to move their seating to fit their needs. 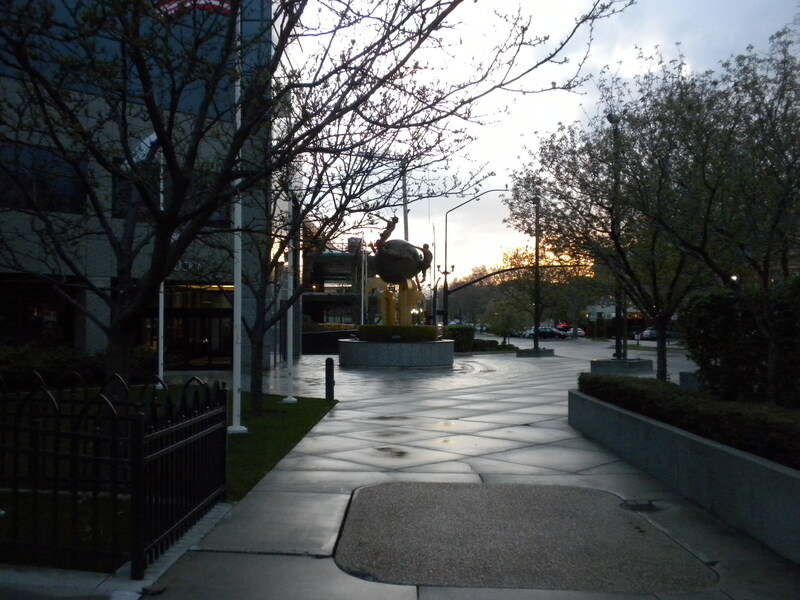 All of which raises a question: why is there no movable seating in Provo’s public spaces? Given the under-performance of nearly all of those spaces it seems like movable seating might be a cheap and easy way to increase usage. It’s also working right now at a number of downtown restaurants. Though the life-span of a movable chair is probably shorter than that of a bolted-down bench, Berg’s article — and the research it cites — suggests that chairs may actually be more effective. In that light, it doesn’t really make sense to install only marginally effective seating, or seating that doesn’t work at all, just to prevent theft. These benches get very little use. Would this plaza be better if it was filled with movable chairs? I don’t know, but some research suggests it might be. Though theft itself may not be a big issue, the perceived threat of theft is probably a major stumbling block in cities like Provo. It may also be that designers outside of major urban centers simply haven’t considered the benefits of movable chairs. But either way, this is a doable solution that doesn’t require major investment or changes to the built environment. In that light, it seems at least worth trying. 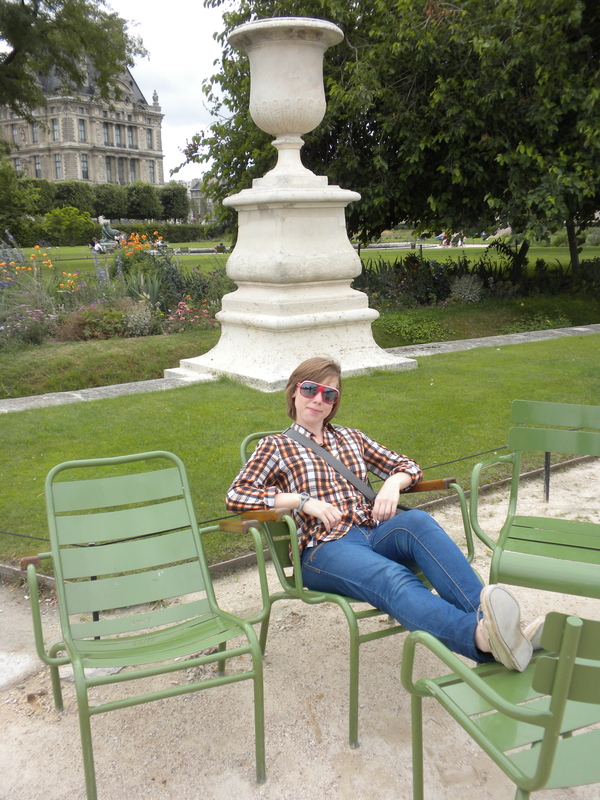 Chairs in Paris’ Tuileries Gardens near the Louvre. In my experience, these chairs elevate this area from a pretty-but-austere design-centered space into a charming, human-oriented zone. They’re a small addition, but they make all the difference. Last week Salon ran an article describing almost exactly the kind of development popping up in Utah right now. Written by Will Doig, “Invasion of the faux cities” points out that people increasingly want to live in walkable urban areas but for a variety of reasons don’t actually want to live in existing urban areas. The result, Doig points out, is that “urban-lifestyle villages” are being built in suburbs. They function as destinations, used by people who live in the surrounding sprawl, and contain a mix of apartment-style homes, offices and retail. They have restaurants and cafes, maybe a movie theater or bowling alley, and even lampposts and benches designed to mimic those in a historic metropolitan core. That could very well have been a description of the south Salt Lake County suburb Daybreak or, presumably, the new suburb planned for Vineyard. These places are only marginally walkable, have little or no internal public transit, and generally have “an unmistakable suburban flavor.” And as Doig points out, these places are also often far too tidy and devoid of street life to pass as anything really urban. 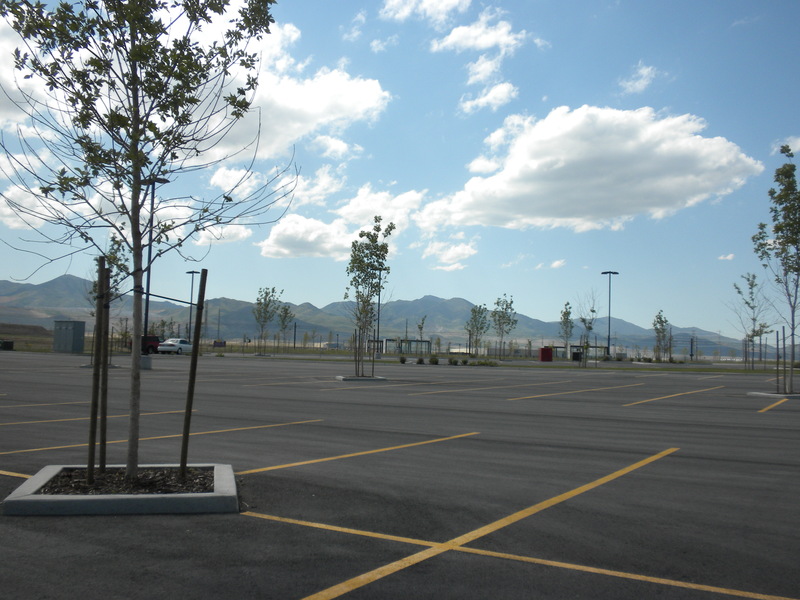 This development in Salt Lake County has higher density than many neighborhoods in Utah. There’s also a transit station and shops within a few miles. But there’s no public transit inside the neighborhood and residents still have to drive to get to any stores, restaurants, offices, or entertainment. That may change 100 years from now, but for the time being this neighborhood isn’t much better than archetypically “suburban” areas in other parts of northern Utah. After all, even my parents can walk to a Wal-Mart from their low density neighborhood in Cedar Hills. Creating an urban place is about more than simply adding mixed-use density and places to stroll. 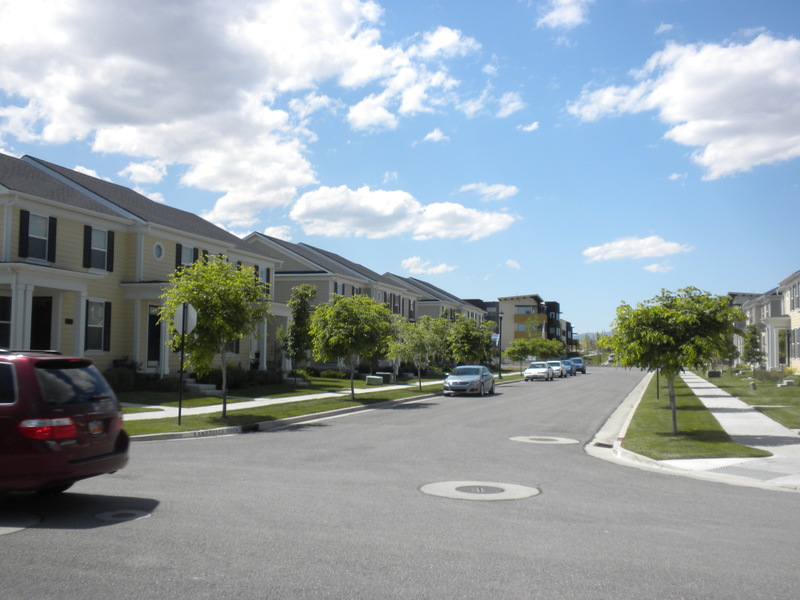 Doig uses the D.C. metro area as his example, but in Utah these sorts of developments seem particularly perplexing because there’s no need for them to exist; with such low densities in most Wasatch Front cities, it would be far better to build within existing cities than to erect brightly colored but typically problematic new suburbs. In other words, existing cities already struggle enough with suburban problems and creating more suburbs exacerbates the situation. In any case, Doig argues that these new types of developments blur traditional conceptions of cities and suburbs. But it’s also worth remembering that — contrary to what I often hear — putting a couple of restaurants and mixed use buildings in the middle of a suburb isn’t much of an improvement if the underlying issues remain. And in Utah, that’s exactly what seems to be happening. a feature-length documentary about the design of cities, which looks at the issues and strategies behind urban design and features some of the world’s foremost architects, planners, policymakers, builders, and thinkers. Over half the world’s population now lives in an urban area, and 75% will call a city home by 2050. But while some cities are experiencing explosive growth, others are shrinking. The challenges of balancing housing, mobility, public space, civic engagement, economic development, and environmental policy are fast becoming universal concerns. Yet much of the dialogue on these issues is disconnected from the public domain. I’ve already heard good things about this film and it’s fantastic that there is a free screening right here in Provo. The film will be introduced by Jamin Rowan, a very cool BYU English professor who is an expert on cities and Jane Jacobs, among other things. It’s stuff like this that makes be glad to live in a college town. 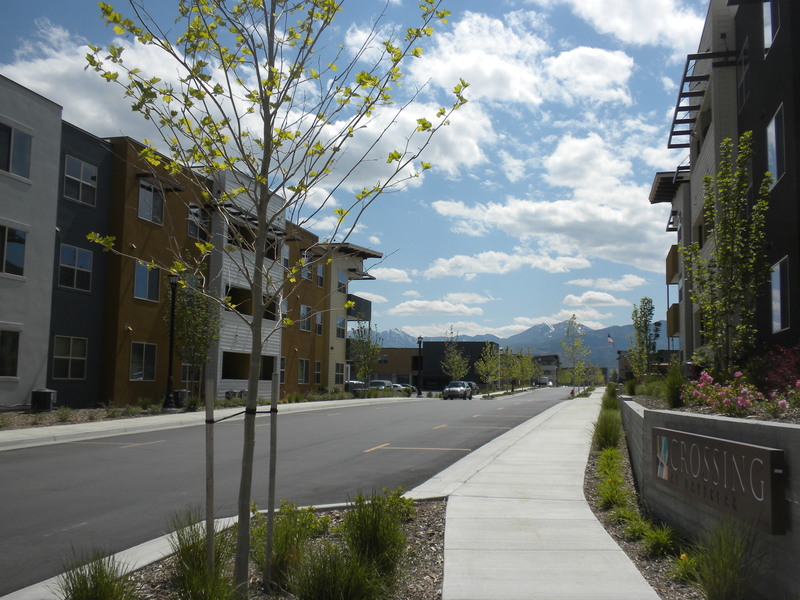 The Jane Jacobs walk I’m hosting in downtown Provo happens tomorrow (Saturday) at noon. We’ll start at the courthouse, and follow something close to the route in the map below. 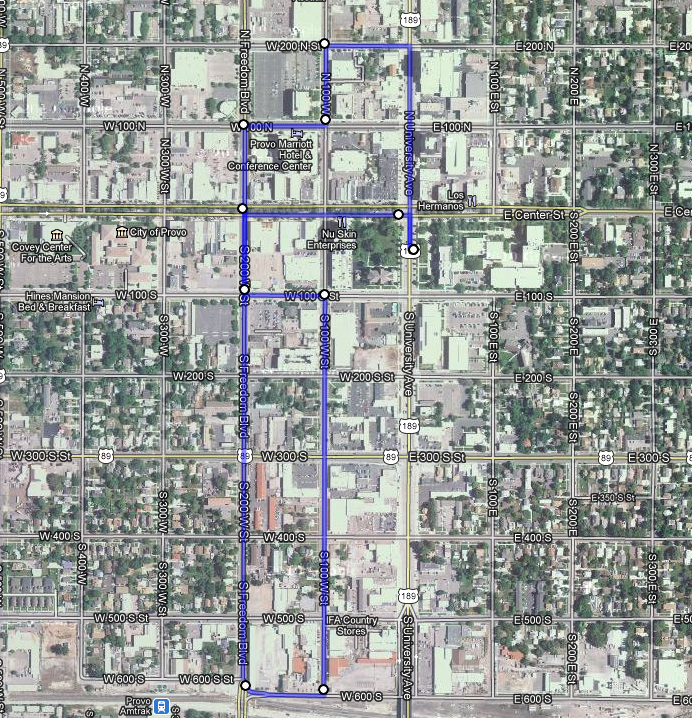 Tentative map of Provo’s May 5, 2012, Jane Jacobs walk. At just over two miles, that route may be a little ambitions depending on who shows up. 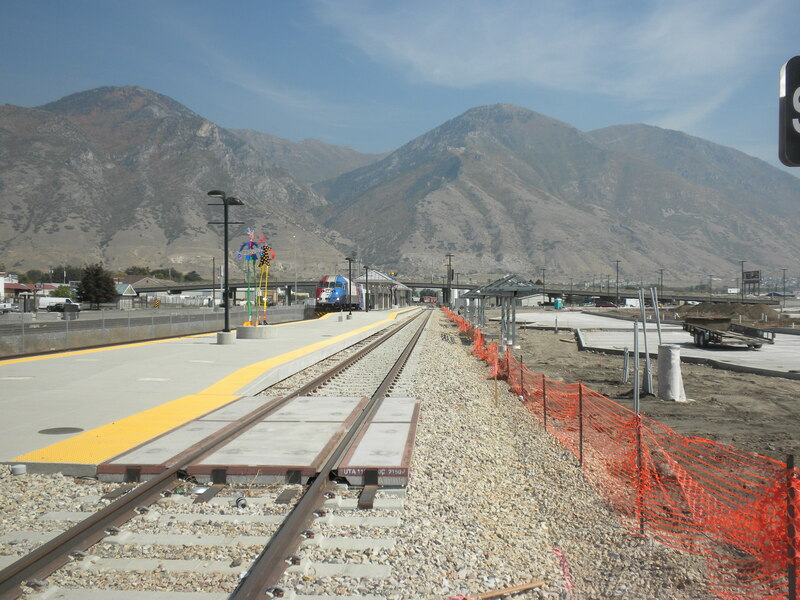 Specifically, I’m not sure we’ll actually make it all the way to 600 South and the upcoming Frontrunner rail station, though I wanted to include it on the map because it’s an increasingly important site in downtown Provo. In any case, I’m calling this map tentative because I’d like everyone to feel that they have a say in where we go; if the group feels like heading down a street not on the map or cutting something out, then that’s certainly what we’ll do. As I said in my original post, I want this to be a walking discussion more than anything else. And what will a walking discussion be like? I envision it as a chance to do a kind of “close reading” of the urban environment, much as a scholar or critic might do with a book or a film. I’ve tried to do this with previous posts on portable toilets, neglected benches, entire streets, and many other things. My hope is that with a group of people, we’ll be able to look around and share insights we might never have had on our own. Like just about every city, Provo needs to build up and diversify its economy. One way to do that is to become a startup hub. With a large university and a young population, Provo really ought to be the home of many startup businesses in multiple industries. Yet the city and the region could do better. Keep in mind that the archetypal startup hub is Silicon Valley. Both components of the antidote—an environment that encourages startups, and chance meetings with people who help you—are driven by the same underlying cause: the number of startup people around you. To make a startup hub, you need a lot of people interested in startups. Provo is growing, so it’s already starting to tackle the issue. However, one key to turning general population growth, as well as basic job growth, into actual startup growth is making sure that many people and companies are concentrated in a single area. That’s more or less the same argument that came up in this post on the importance of putting many businesses in downtown, rather than scattering them throughout a region. It’s also a reason to promote dense neighborhoods instead of sprawling communities. Downtown Provo already has many businesses. However, to create more startup companies, the city needs to cultivate a culture that makes startups "cool" and that brings a lot of hopeful entrepreneurs into contact with one another. Downtown Durham has 70 startups located within five blocks of the Smoffice, including mobile app developers, health IT companies, and online marketing platforms. The coffee shop itself, Beyu Caffe, has long been an informal meeting place for the neighborhood’s startup set. It’s just three blocks away from the American Underground, the 26,000-square-foot basement of the historic American Tobacco Campus that’s dedicated to the kind of flexible, low-cost leases entrepreneurs are unlikely to find in more expensive cities. Much like creating a strong arts community, a successful startup culture takes work, investment and creativity. But if done correctly, it has the potential to pay off handsomely.